We will finish up next week. 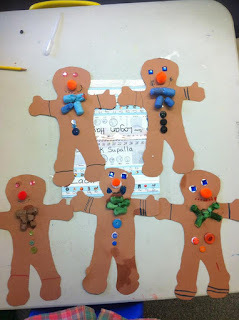 The kids had fun with the science project where we discussed what would happen if the gingerbread man swam across the ocean. They all made thier predictions and then observed what happened. 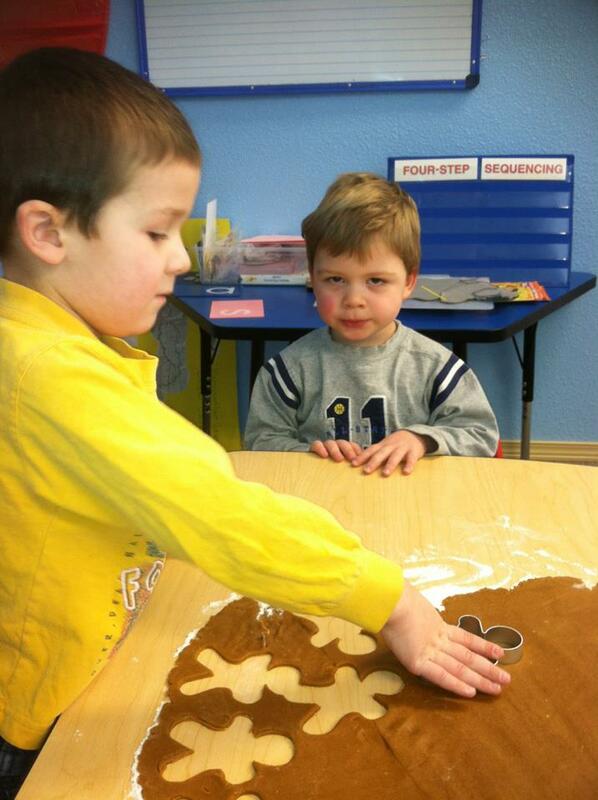 Some kids even wanted to eat the soggy gingerbread man EWWW!!! 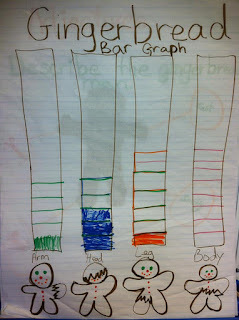 For math we worked on graphing and number operations. We played the dice roll game where they got to eat whatever number they landed on. 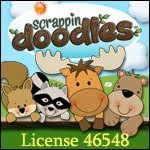 This game was a big hit!! 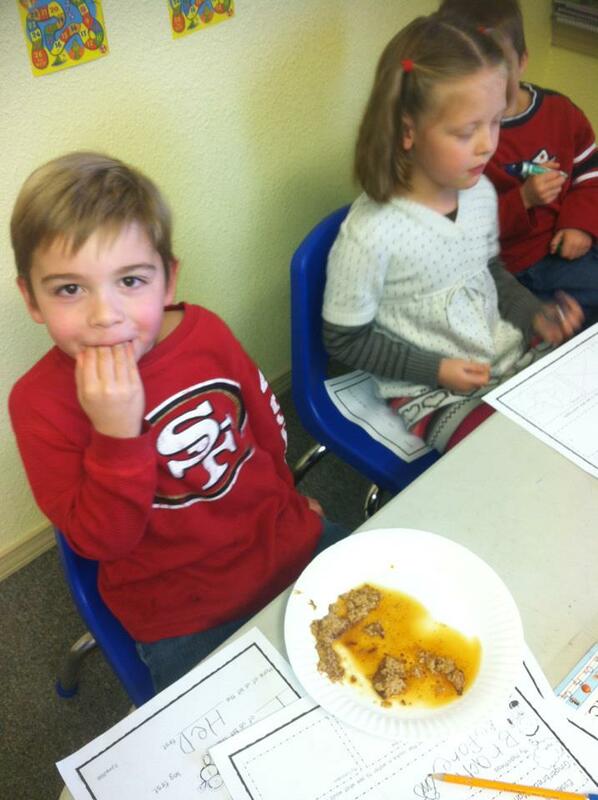 They were all excited to see what part of the gingerbread man they got to eat next. 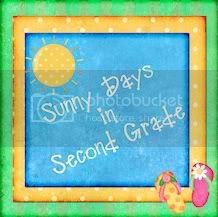 This was also good reading practice because they had to read the chart everytime. 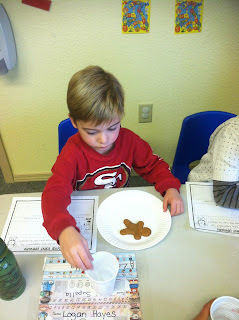 For Graphing we ate a part of the gingerbread and the graphed which part we ate first then we analyzed our data and recorded it. 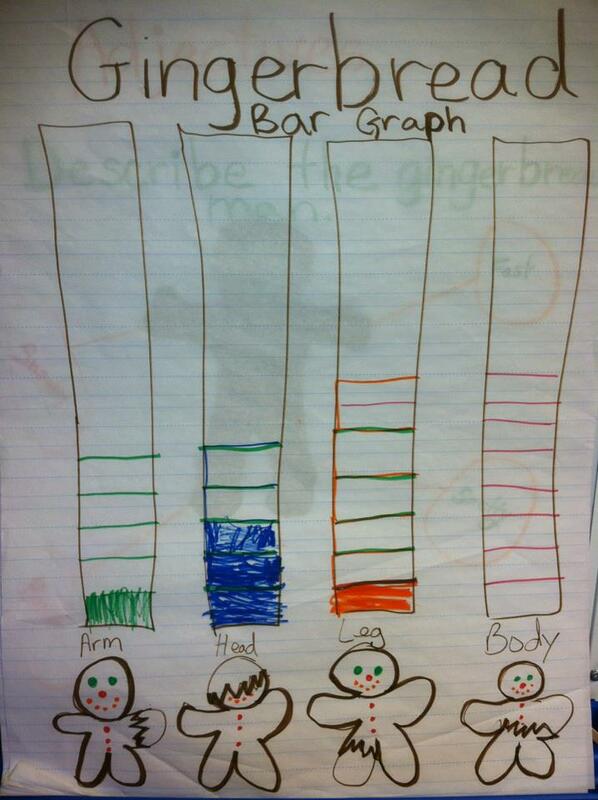 We also measured our gingerbread men and recored the data. 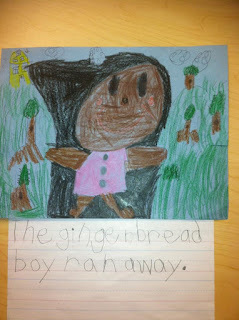 In journal we did a directed drawing activity where they had to follow directions to draw each part of the gingerbread man. We talked about what the house would look like if the gingerbread man was running away from it and they decided it would be smaller. Then they wrote about the gingerbread boy. 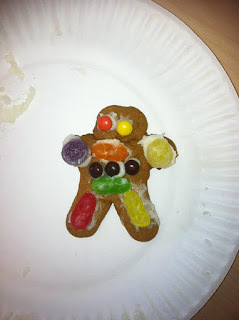 We made gingerbread playdough for our practical life shelf. 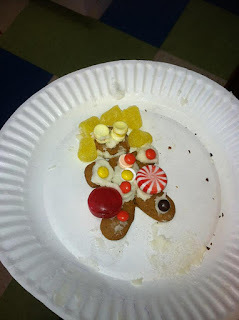 The kids will get to roll and cut the gingerbread man and decorate him with buttons and other plastic candies. We made gingerbread glyphs for the parents to guess which gingerbread man is which??? 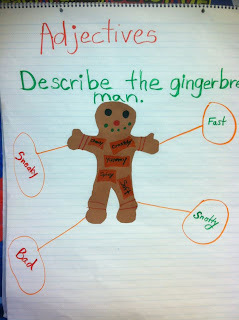 They had a lot of fun with this activity because they got to personalize it and learn more about their classmates. We practiced descriptive language and adjectives after we read the story and used adjectives to describe how the gingerbread man tasted and how he acted. 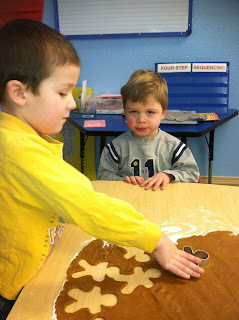 Last but certainly not least we decorated and ate gingerbread boys.....and girls! ;) I was impressed with their creativity. 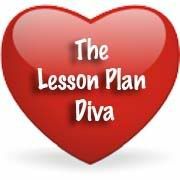 This was an extremely fun and educational unit that we will use over and over again that I will keep adding to. 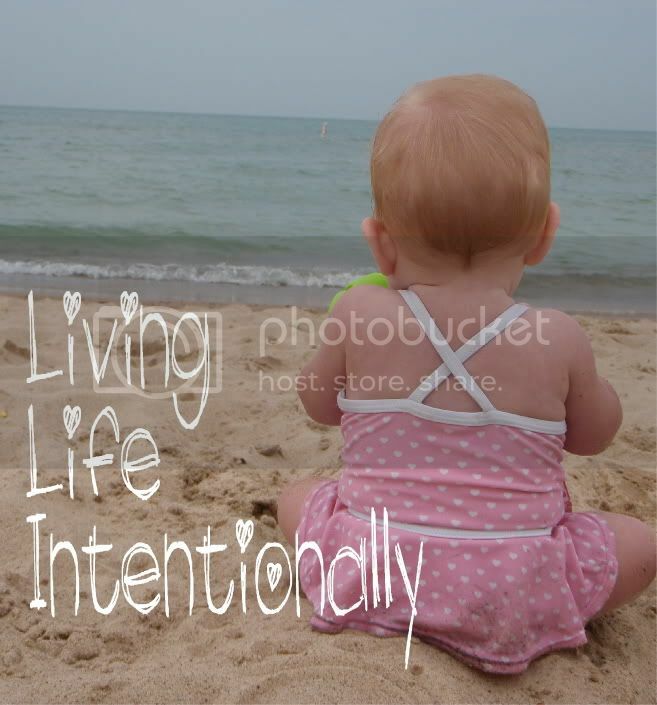 What a wonderful set of activities! I can just smell the gingerbread smell that must be wafting across your classroom. Oh my gosh! That is the most well covered gingerbread man. I so enjoyed that. Stopping by from Hip HOmeschool Moms. What a wonderful ideal. 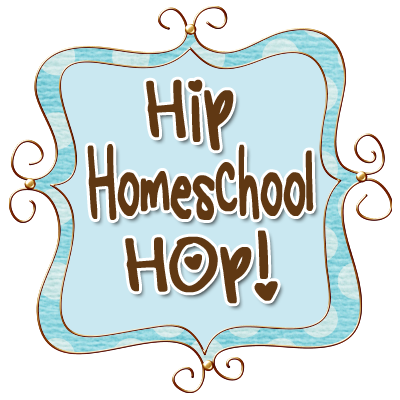 I am a new follower from Hip Homeschool Hop.